Hidden behind a discreet residential slip road in Langton Matravers, random tufts of wild flowers adorn the natural bumps and curves of Acton Field on the Purbeck Hills. 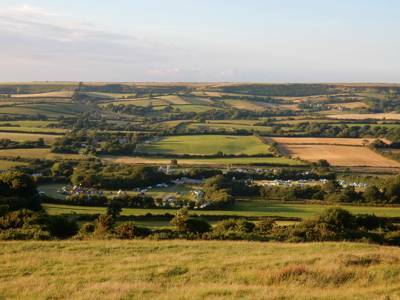 The unspoilt – verging on wild – terrain comprises a wide, sloping, and grassy campsite, where you can see Swanage Bay glistening in yonder distance. Arrive early in peak season to claim the best-sheltered and flat spot you can find, as exposed parts can get very windy. 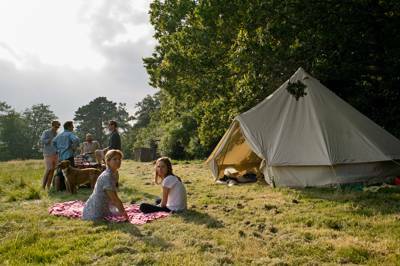 During restricted times, campers need to be members of groups -the list can be found on the Natural England website, or contact the owners for details. Don’t let this put you off though, the minimal effort it takes to join rewards with a beautifully rugged camping experience that not every man and his dog can overpopulate. Essential day trips include the scenic cliff-top walk from the village to swim at the Dancing Ledge tidal rock pool and caves. In 40 minutes you can walk along Priests Way down to Swanage Bay for a fish-and-chip beach supper, or to the famous Square and Compass pub in Worth Matravers. Buy a pint of cider and a pasty through a hole in the wall before relaxing on the pub’s very own little slope…it could be a long stagger back. We have owned and run the site for 35 years, and welcome all. An unlimited number of pitches on the sloping (sometimes steeply) field. Campfires allowed at certain times (inquire with the owners). Basic but spotless hut with showers (2 ladies, 2 gents; 20p for 3 minutes). Two washing-up sinks; freezer for ice packs only. A mobile grocer visits every morning in the May half term and in the summer school holiday with freshly baked bread, chocolate doughnuts, newspapers, and milk, and Dilly's pop-up café serves delicious breakfasts and on some evenings, supper. Some electric pitches and mobile phone charging booths. Booking required for electric hook-up. Steam trains at Corfe Castle (01929 425800), big pasties at the Square and Compass (01929 439229), or cliff-top walks to Dancing Ledge, Seacombe Cliff, and Winspit. Delicious Jamaican food with a side order of reggae and calypso tunes: weekends only at the Jerk Shack in the garden of the Scott Arms (01929 480270). May Day weekend, then from 6 July – 2 September open to all. 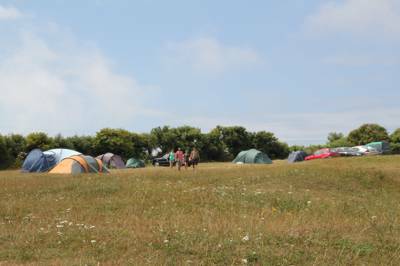 £8–20 per pitch, per night (depending on tent size). 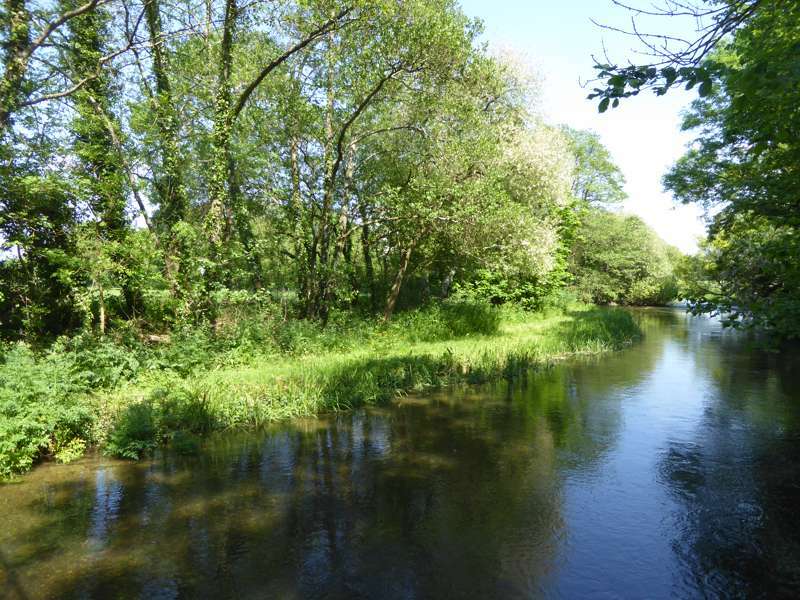 Take the A351 to Corfe Castle then the B3069 through Kingston towards Langton Matravers. The campsite is on the right as you enter the village. Take the train to Wareham then pick up one of the many buses to Swanage. Alight outside the campsite at the Capstan Field stop (Langton Matravers).